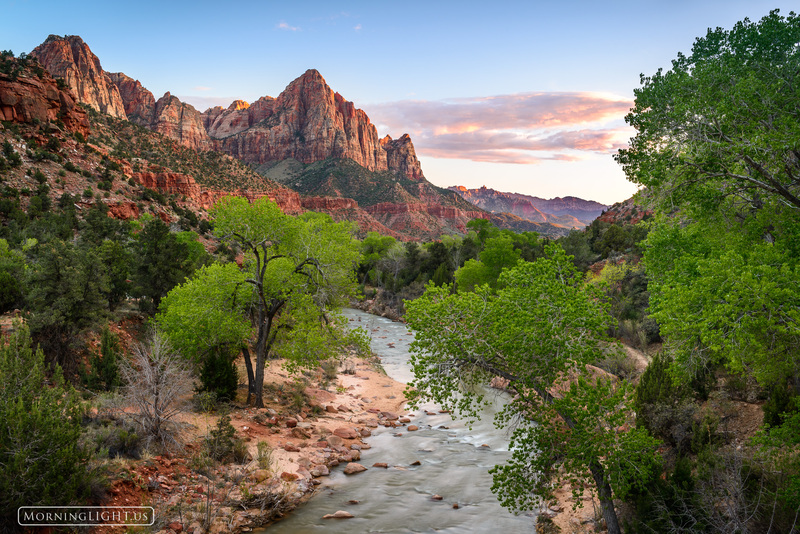 A beautiful spring sunset in Zion National Park. The mountain looking down over the Virgin River is known as the Watchman and on this spring evening he had to have enjoyed his envious position. Photo © copyright by Erik Stensland.